But, even with all of these Raleighs, it's hard to pass up showcasing a classic Bridgestone MB. I've got a soft spot for the MB series - it was the first Bridgestone which ever rolled through my life (a purple MB-3, if you are keeping tracking) and it is still a bicycle model which has a perfect mix of style and performance. The late 80's/early 90's mtbs are certainly some of the best riding 26" trail bikes. Responsive and stable, quick and lively. I'm lucky enough to have an MB-1, and everytime I hit the trails on mine, it reminds me how well realized this series of mountain bikes was. 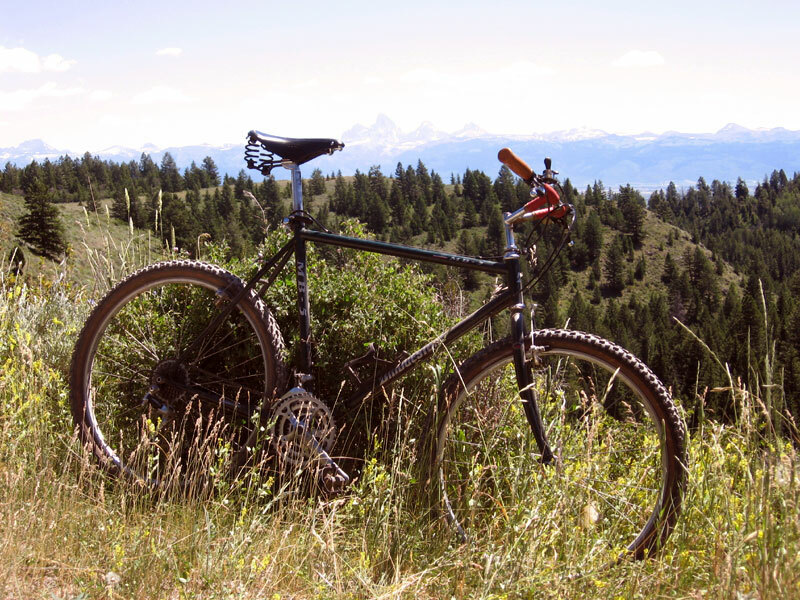 Jim's photo of his really captures the spirit of far horizons and wonderful trails.